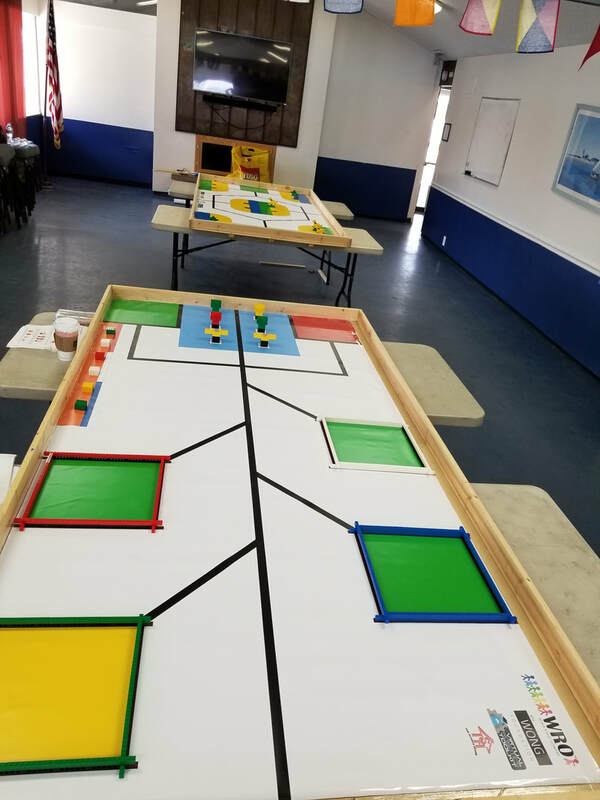 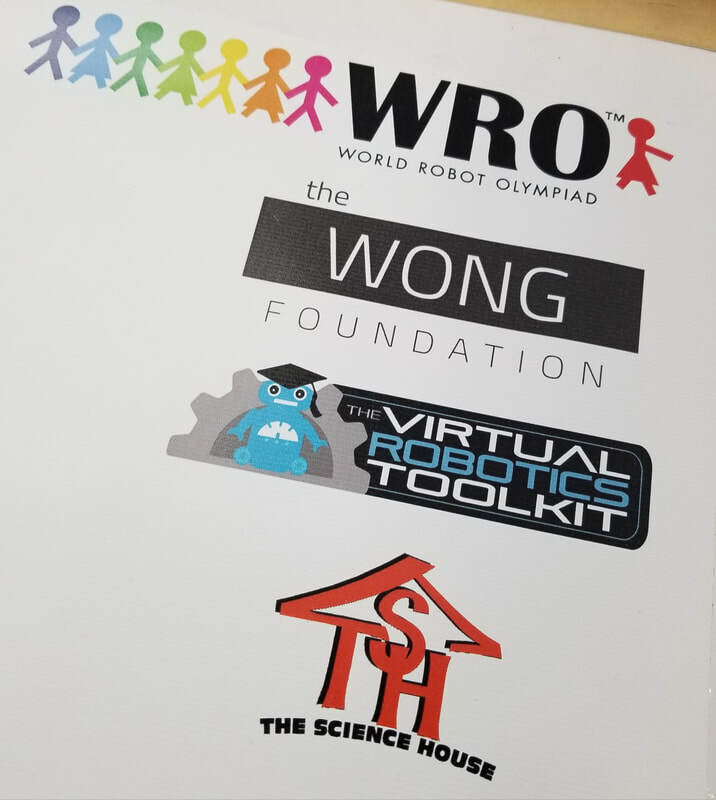 RSSC Members Patricia (Trish) Tsoiasue (organized event) and Walter Martinez ( judged the event ) were present at the 2017 WRO World Robot Olympiad local competition in Long Beach, California at the Boy Scouts Seabase. Patricia organized this event and made it all possible for 6 teams of kids to compete at the Elementary, Junior and Senior levels. 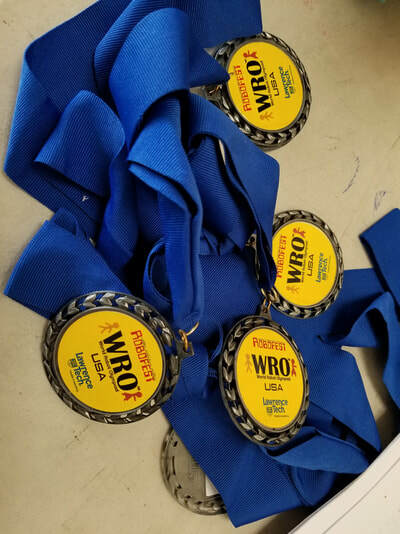 Some of the teams will be competing in Nationals. 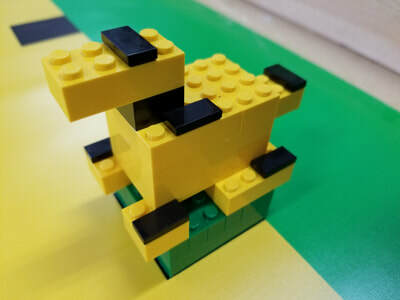 Everyone worked really hard to complete the challenges and we all had a fantastic time. Parents and visitors were very engaging and the senior team Westside enjoyed interacting with the younger teams and they all demonstrated their robots. 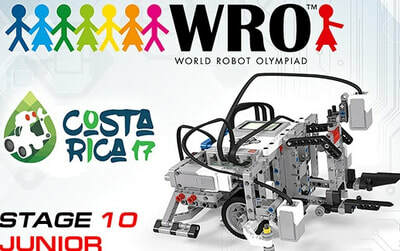 Visit the WRO Official Website for more information. 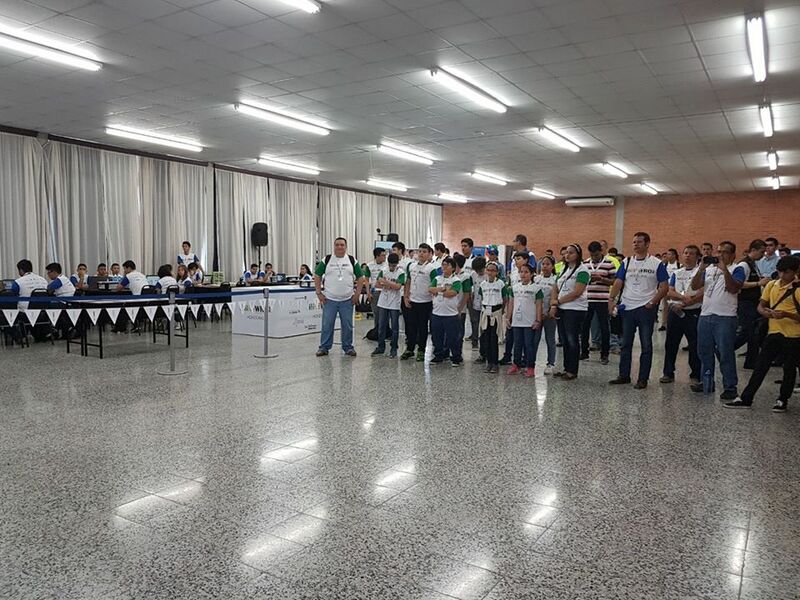 This year's finals are in Costa Rica and topics covered are sustainability, renewable energy and carbon footprint or Sustainabots: Robots for sustainability. 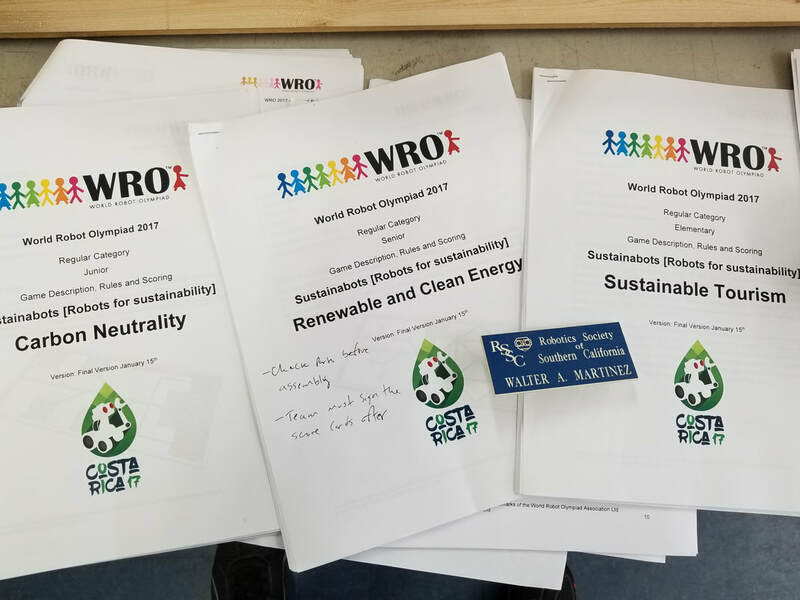 All very relevant topics to today's challenges. 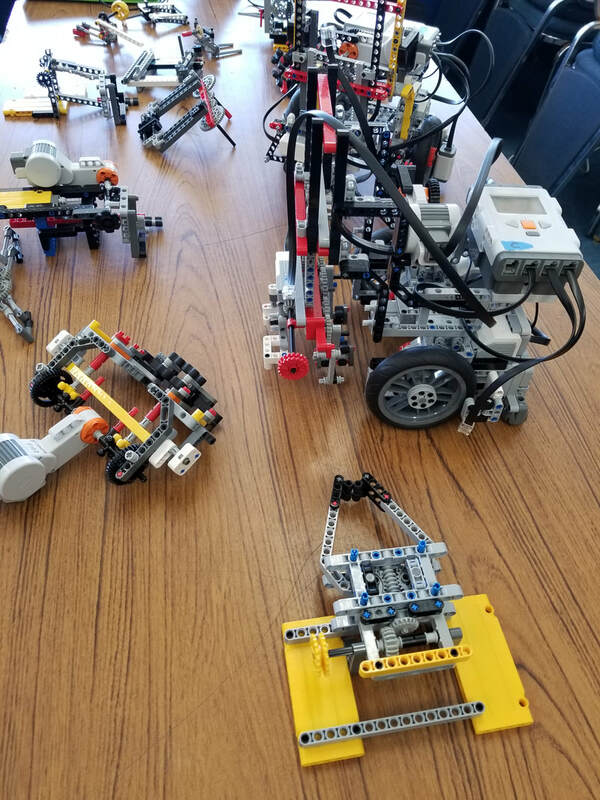 In all three levels students are allowed to use only Lego Mindstorms robots and are limited rules. 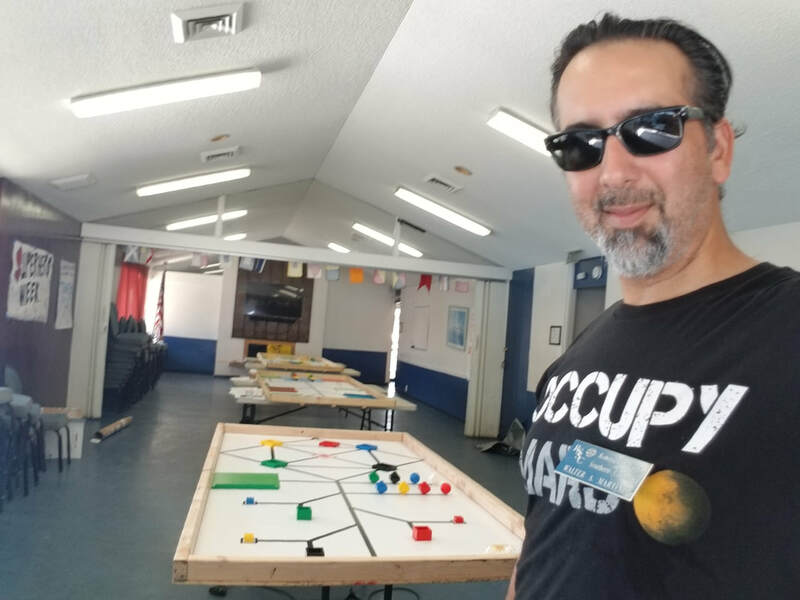 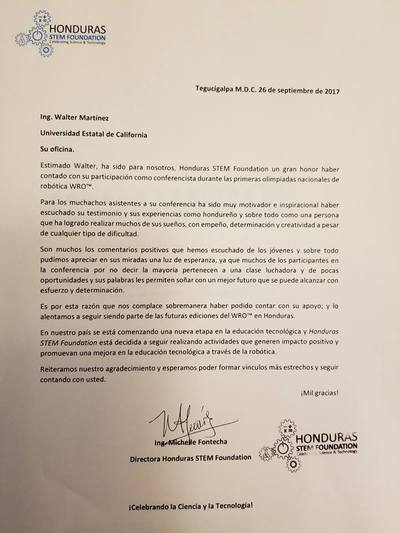 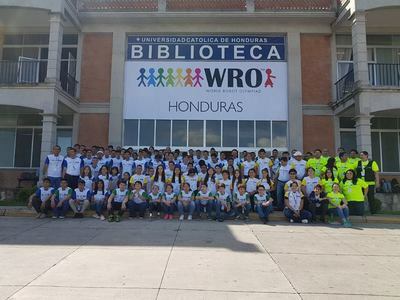 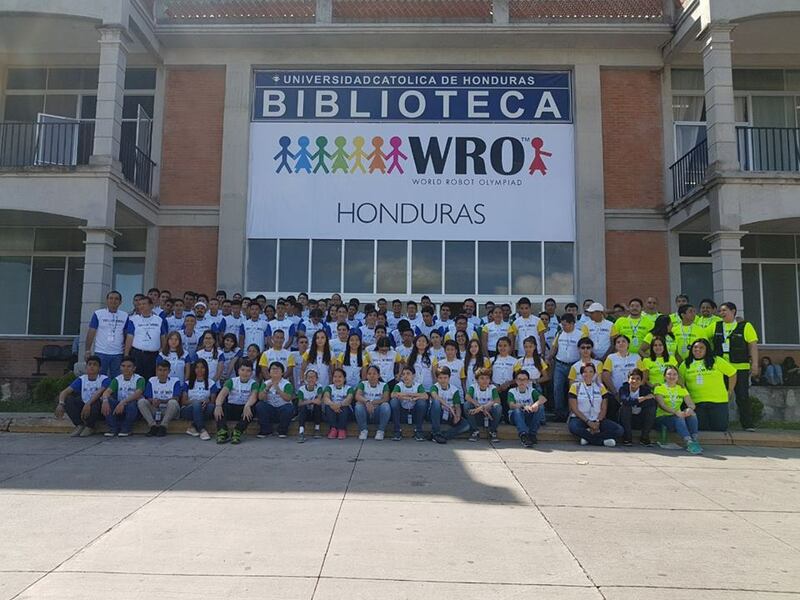 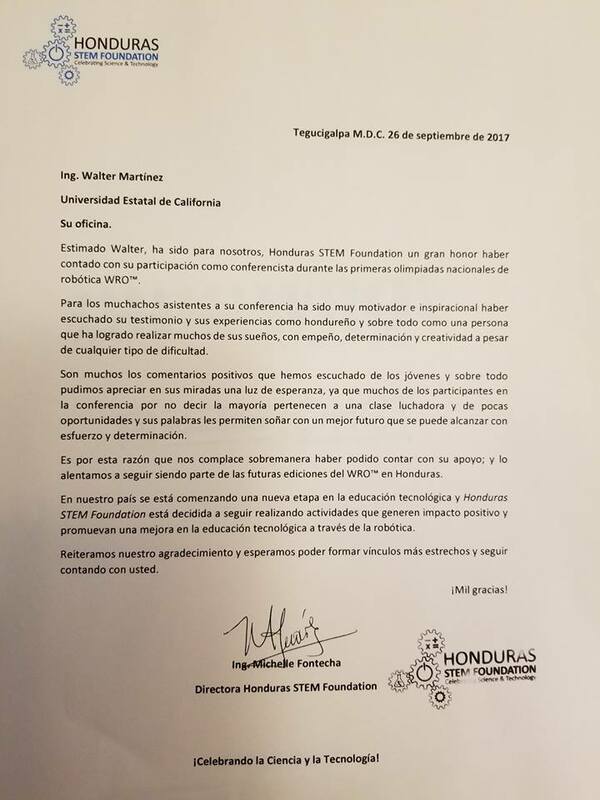 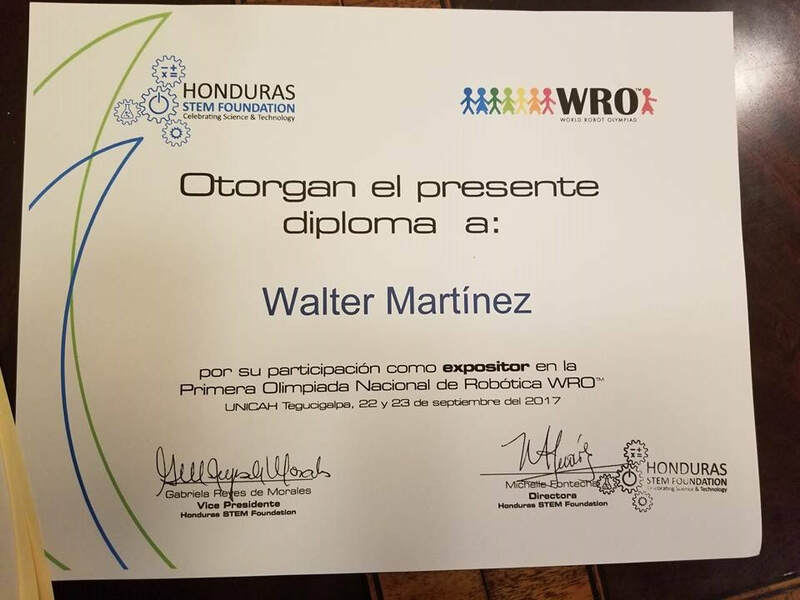 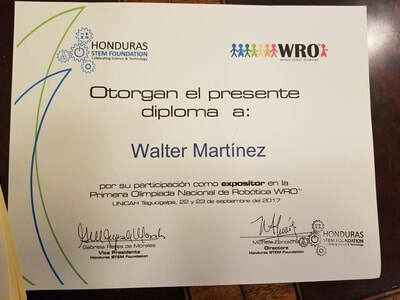 RSSC Member Walter Martinez gave a one hour presentation via teleconferencing to 31 teams from Honduras consisting of 110 kids who were competing for the WRO finals. 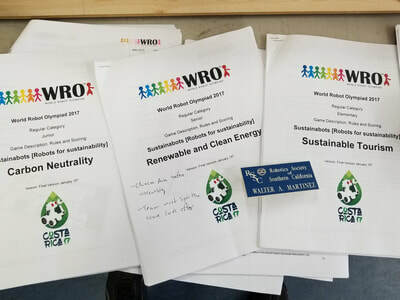 Greenhouse gasses, such as carbon dioxide, emitted by human activities like transportation, industrial processes and energy production affect the temperature of our planet. 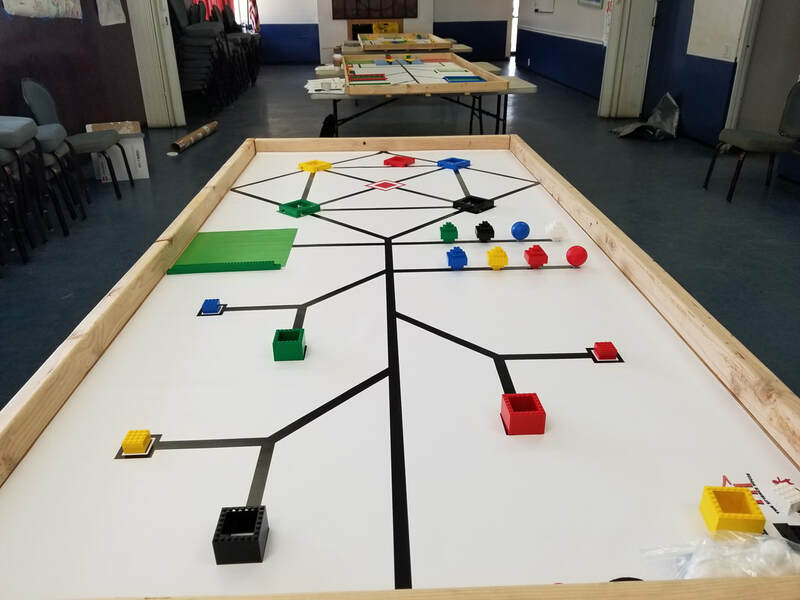 The Challenge is to make a robot that can help one company reach carbon neutrality. 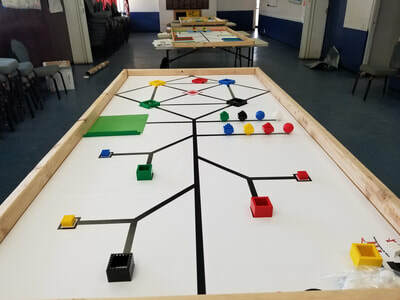 To accomplish this, the robot must install renewable energy sources, like solar panels, and plant trees to counterbalance the emissions from the industrial processes of the company.